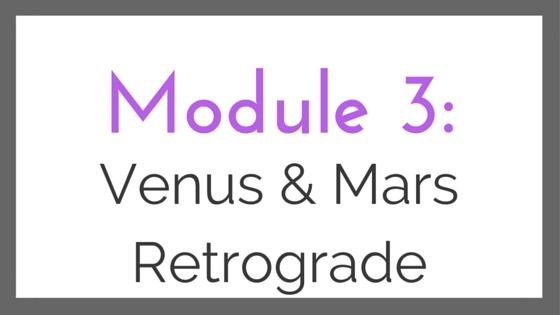 Why does Mercury retrograde have such a strong impact? The reason for this is because of what Mercury rules. Mercury is the planet of communication, ruling how we communicate, understand, and our regular interactions and conversations (in person, over the phone, online, letters, text messages - the written and spoken word are ruled by Mercury). Mercury is also a tech ruler (along with Uranus), ruling the gadgets that fill up our lives these days, and rules short travel (the travel we do each day, places we can go to by car, bus, bicycle, walking, etc.). Mercury also rules daily life in general (our routines, chores, habits, and close environment), our work lives, and our health. So in spite of Mercury being a small planet, it's quite powerful! And only seems to get more powerful as our world becomes more interconnected through technology. 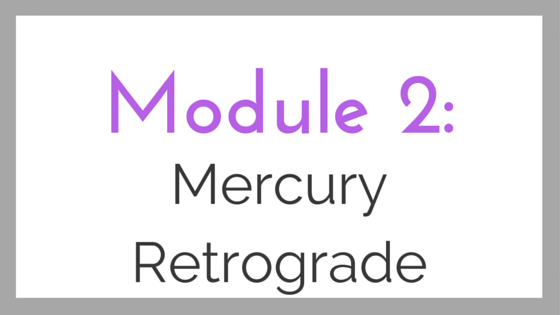 You may read a lot of people say that Mercury retrograde is a load of bunk. "How could it possibly impact us?!" they cry. "It's just a stupid little planet!" There was even an article in the New York Times in 2006 that showed there were actually less traffic events (accidents, malfunctioning traffic equipment, etc.) and trains were slightly more on time during Mercury retrograde. Though that same article also showed that there were more late flights and lost baggage during Mercury retrograde. This contradiction shows that there likely wasn't enough data over a long enough period of time to have a real answer (usually the case with astrology studies). 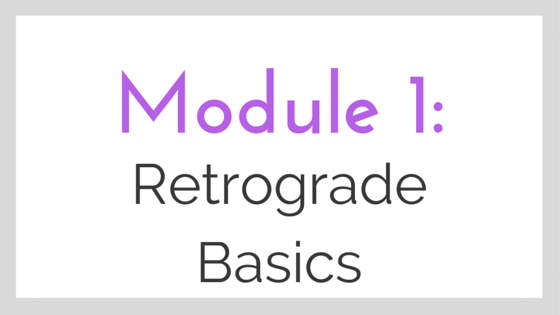 Here's the deal - not everything that can go wrong during Mercury retrograde will go wrong. 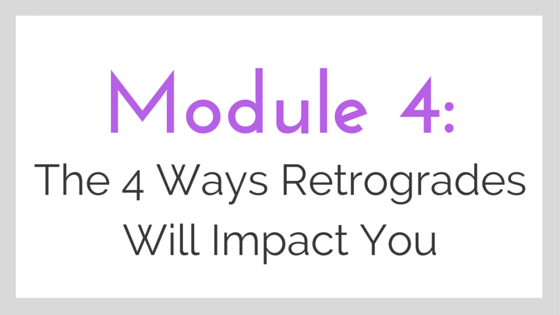 As you've learned, it all depends on what the retrograde is doing in your chart. But, what I find is usually the case with Mercury retrograde is, when things go wrong, they go REALLY, REALLY WRONG. This was quite the debacle. Who knew a Chad could have so much impact on voting? For those of you outside the U.S. (or too young to remember), this presidential election was between George W. Bush (who "won", if you can call it that) and Al Gore (that you probably know now as the climate change guy). Ballots in Florida were a big old mess (where the governor of the state just happened to be George's brother), we all learned way more about voting than we ever wanted to, and it went to the courts, where Bush was victorious. And the rest, as they say, is history . . .
On election day, Tuesday, November 7th, 2000, Mercury retrograde turned direct (ended). When Mercury retrograde begins and ends, he's moving slowly, hovering in the same spot, called stationed. There's an enormous amount of energy going on during that stationed period. When Mercury turns retrograde or direct, things tend to flip upside down from how we thought they were going to be (and boy did we have no idea how this one was going to go!). On that fated day, Mercury turned direct at 29 degrees Libra. 29 degrees is called the anaretic degree, and it's a point of crisis energy, so to have Mercury end here really pumped up the volume. It was quincunx Saturn, a hard aspect with erratic energy, adding to the wonkiness (and oh yes, Saturn rules politics, and was retrograde at the time). Libra is also one of the signs ruling the law (along with Sagittarius), hence this going to the courts. For the U.S. birth chart (if the Sibley chart is used - there is some debate about what the correct birth date and time is for the U.S., but this is the chart most widely used and the one I like), the 11th house cusp is at 29 degrees Libra, the same degree that Mercury turned direct at. The 11th house rules the masses (like a large group of people voting). The natural ruler of the 11th house, Uranus, in the U.S. chart was conjuncted by Jupiter the day before, making the problem bigger (Jupiter is expansive), and making this something rather unexpected (Uranus and the 11th house rule the unexpected). What's most interesting about the U.S. birth chart in relation to Mercury retrograde is that the U.S. chart has Mercury retrograde! But you see, this was the end of the retrograde, not the start, so the retrograde energy that's natural for the U.S. was going away. You can be protected no matter what if the natal Mercury is retrograde and progressed Mercury is direct (or if your natal Mercury is direct and your progressed Mercury is retrograde), but in the progressed chart for the U.S. at that point, progressed Mercury was also retrograde. There was some concern in 2012, because on election day that year, Mercury was turning retrograde. But ahh, there's the difference, Mercury was turning retrograde, not direct. It was also in a different sign (Sagittarius). Turned out Mercury helped re-elect President Obama (retrogrades bring things back), and just made the Romney camp put too much emphasis on some questionable polling from some questionable people. It was February 2nd, 2014, with the Denver Broncos, helmed by Peyton, versus the Seattle Seahawks, led by the young-and-yummy Russell Wilson, in what turned out to be a very mild New York (and they were so worried it would snow, the big wimps). So, the game begins . . .
. . . and it was a disaster immediately. The very first snap for the Broncos was botched, over Peyton's head and into the end zone, and a safety gave Seattle a 2-0 lead without them doing a darn tootin' thing. That pretty much set the stage for what was a blowout win for the Seahawks, killing the Broncos 43-8. What was Mercury doing? Oh yes, he was getting ready to turn retrograde! Mercury retrograde began a few days after the Superbowl that year, on February 6th. The first storm period began the next day. This retrograde began in Pisces, conjunct Pisces ruler, Neptune in Pisces. So fitting when you consider Pisces and Neptune bring in the fog, the haze, making it sooo difficult to see or understand anything . . . the Broncos couldn't get their act together to save their life. And, of course, Peyton Manning has his Mercury and Venus in Pisces. This is not an event, rather, it's a series of events. First, did you know that October is seen as cursed by finance guys? They call it the October Curse or October Effect. There's this belief that the stock market nosedives in October. It's been proven untrue, and it turns out that September is actually a worse month for stocks. BUT if you look at the list of the worst single day nosedives in the history of the stock market in the U.S., you'll find that for the top 10, Mercury retrograde was involved for all 10. I don't know what the odds of that are, but I'm guessing pretty small. No wonder banks secretly employ financial astrologers. The day known as Black Monday came on October 19th, 1987, and is the largest percentage loss in one day for the Dow Jones Industrial Average. This was not just an American event though, as this day saw a massive stock market collapse worldwide. It was followed up shortly afterward with the 8th largest percentage loss for the DOW on October 26th. So what was Mercury doing? Mercury turned retrograde October 16th, 1987, in the sign of Scorpio, which rules stocks. Pluto was also in the sign of Scorpio at the time, and conjunct Mercury during that retrograde. Pluto is also the planetary ruler of stocks. This was the start of the Great Depression. In some ways, it was worse than the previous. The 28th and 29th are also sometimes referred to as Black Monday and Black Tuesday. How was Mercury involved? Mercury had just turned direct in Libra (10 or 11 days before) and was still in the shadow period, and was square (hard aspect) Pluto in Cancer, who just turned retrograde. The two had stationed square. Not only that, but Uranus was opposite the Mercury direct quite closely in Aries and was retrograde, hence it being such a sudden downfall. This one is a little mysterious as I couldn't find much about it (probably because it was so long ago!). But for this dip, Mercury turned direct 3 days before conjunct Uranus in Sagittarius, in the same sign as Saturn (Sagittarius), and opposite by sign Pluto and Neptune in Gemini. What's funny about this one is the DOW only dropped a little under 8 points. It closed just under 60. It was so small back then! Like #3, I couldn't find much on this one either, but it was during the Great Depression, which was a volatile time. This one is interesting - Mercury had just retrograded backward into Leo (1 or 2 days before), and conjuncted anaretic Jupiter in Leo when it did. Jupiter has expansive energy, and sometimes he makes things that are bad worse. Looks like that was the case here! 1907 was a bad year, culminating in the Panic of 1907 later that year in October. But March had a pretty bad day for the stock market. Like with #6, Mercury retrograded back into a different sign, going from Aries to Pisces, on the 14th, starting the day at 0 degrees Aries (a critical degree), and then square Pluto in Gemini and Mars in Sagittarius in Pisces. Saturn was also in Pisces at the time. You should be old enough to remember this one! This is the most recent date on the top ten list, and was actually the second worst day for actual point loss (not percentage). How was good old Mercury involved? Mercury actually turned direct in Libra on October 15th. He was square Jupiter in Capricorn. Expansion! Adding to the mix was Saturn opposite Uranus (Mr. Responsible challenging the recklessness) and Pluto (Mr. Stocks) gearing up to enter a new sign, Capricorn (naturally ruled by Mr. Responsible, Saturn). Another one during the Great Depression. For this dip, Mercury was retrograde in Leo and opposite retrograde Saturn in Aquarius.